Body Conscious, an inspiring exhibition by artist Dorothy Ann Daly, will be launched in Waterford Regional Hospital on Friday 29 June. The launch will be preceded by a free public talk by the artist on the same day at 12 noon in the WHAT Centre for Arts and Health in the grounds of the hospital. Dorothy Ann is a Kilkenny born artist who now lives in Berlin She studied fine art painting in NCAD and textiles in Glasgow School of Art. Since graduating in 1991, she has been making work and exhibiting in Ireland and abroad. 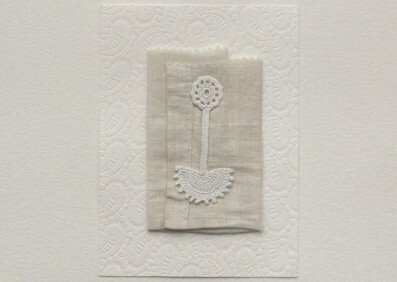 She has been a member of the 62 Group of Textile artists since 1993. 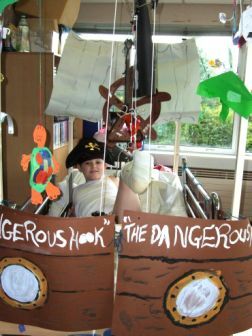 In 2010 the National Centre for Arts and Health at Tallaght Hospital developed a significant arts programme tailored to the needs of children in our hospital. Thanks to funding from the NCH Appeal Ms Aimee O’Neill, Art Therapist, was appointed to lead and develop the service. Two years on, we are delighted to announce a further year of funding for this service. Twice yearly, the Arts Council offers grants to enable artists and communities of place/or interest to work together on contemporary collaborative arts projects. The scheme is open to artists from any of the following artform disciplines: architecture, circus, street art and spectacle, dance, film, literature (Irish and English language), music, opera, theatre, visual arts and traditional arts. The projects can take place in a diverse range of social and community contexts including arts and health; arts in prisons; arts and older people; arts and cultural diversity. SPECTRUM is a book which reflects a five month collaborative visual art project led by the Arts for Health artists’ team Sharon Dipity, Julia Pallone, Tess Leak, Anne Harrington Rees and Sean O’Laoghaire with participants from six long-term residential units in West Cork. The project explored colour; its associations, versatility and emotive response. From this investigation came a number of drawings, prints and paintings. Curated by the artists’ team, these images were transformed into a carefully considered poetic vision of the process. Throughout the book the artists share a brief insight into their participatory practice; how they converse, encourage and collaborate with the participants. Wise Ways Touring is an Arts Council funded tour begining at KCAT (Kilkenny Collective for Arts Talent), Callan, Kilkenny in July then moving to Axis, Ballymun, Dublin in September and Aras Eanna on Inis Oirr, from the end of September to October. This participatory arts tour will involve predominantly older age members of the local community who, facilitated by visual artists Terry O’Farrell and Nicola Henley, will work in clay and text to create a public exhibition in each arts venue expressing collective knowledge from the past.